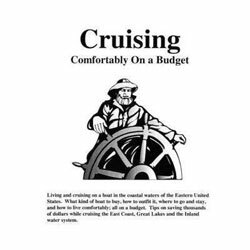 The Skipper Bob - Cruising Comfortably on a Budget publication contains great information about living and cruising on a boat in the coastal waters of the Eastern United States. This guide includes information regarding what kind of boat to buy, how to outfit it, where to go and stay and how to live comfortably and tips on saving thousands of dollars while cruising the East Coast, Great Lakes and the Inland rivers. They include the best anchorages, free docks, bridge and lock restrictions, waterway problem areas, lowest marina and fuel prices.